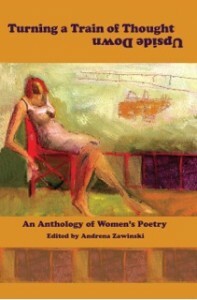 Judy Wells' prose and poetry have been published in numerous theme-oriented anthologies. 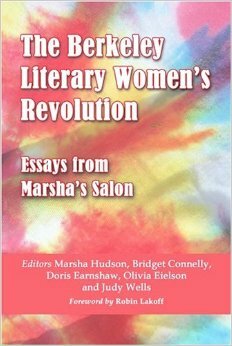 Editors: Marsha Hudson, Bridget Connelly, Doris Earnshaw, Olivia Eielson, and Judy Wells. Picture: (Forefront, left to right). 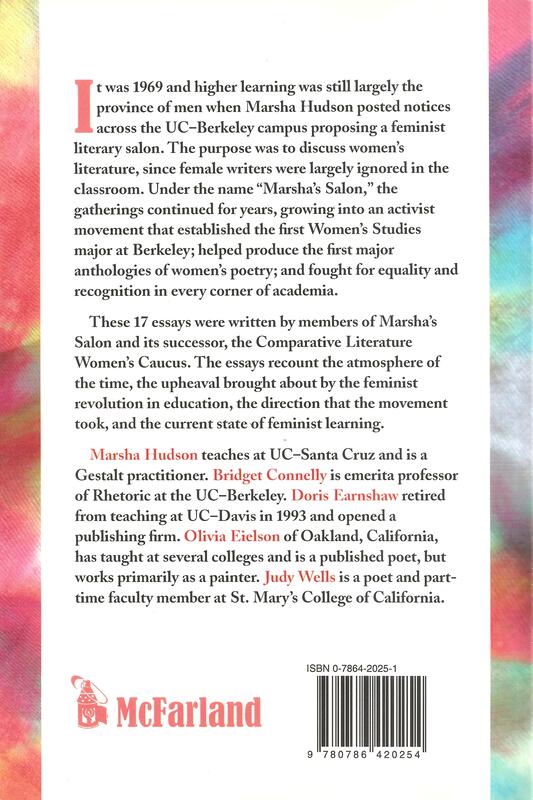 Doris Earnshaw, Marsha Hudson, Judy Wells, Bridget Connelly. (In back, right), Naomi Cutner. 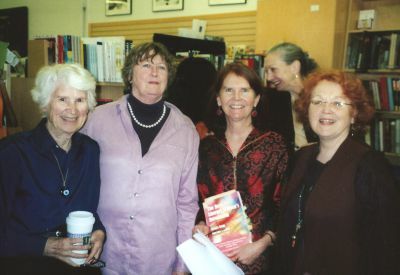 At Cody's Bookstore, 4th Street, Berkeley, 2005. In the River the Roar of a Train, edited by Mary Norbert Körteand Henry Massie, Rainy Day Women Press, 1990:"Attic Vision,” "Emily Carr Sleeps Alone at Night," "Rhoda Meyers in Blue Hat," "Meditation," and "The Stopping of Trains"
Paper Graders: Notes from the Academic Underclass, edited by Barry Roberts Greer, Cairn Press, 1994: "The Part-time Teacher Does Not Like Her Contract," "The Part-time Teacher Wants To Start a Union," "The Part-time Teacher Meets a Fellow Traveler"
Through the Mill: A Coffee Mill Anthology, edited by Carla Kandinsky and Dale Jensen, 1994, "The Inner Tube"
Coffeehouse Poetry Anthology, edited by June King Matijasic and Larry Smith, Bottom Dog Press, Firelands College, Winter 1996, "Confessions of a Counselor" and "Hope"
To Honor a Teacher, edited by Jeff Spoden, October, 1999, "My Spiritual Life"
2000: Here's to Humanity, edited by Shirley Richburg, 1999, "The Scaffolding"
The New Now Now New Millennium Turn-On Anthology, The Berkeley Review of Books, vol. 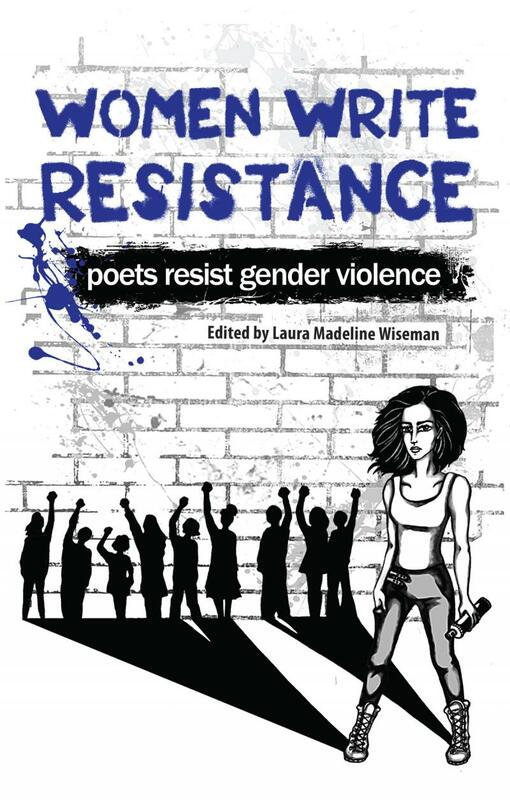 I, issue 3, edited by H.D. Moe, 2000, "Meeting the Ex at a Service Station After Five Years" and "Baloney"
“The Part-time Teacher Sometimes Fears for Her Students’ Lives” and “What Do I Say to a Poet Friend Whose Husband Has Just Died."